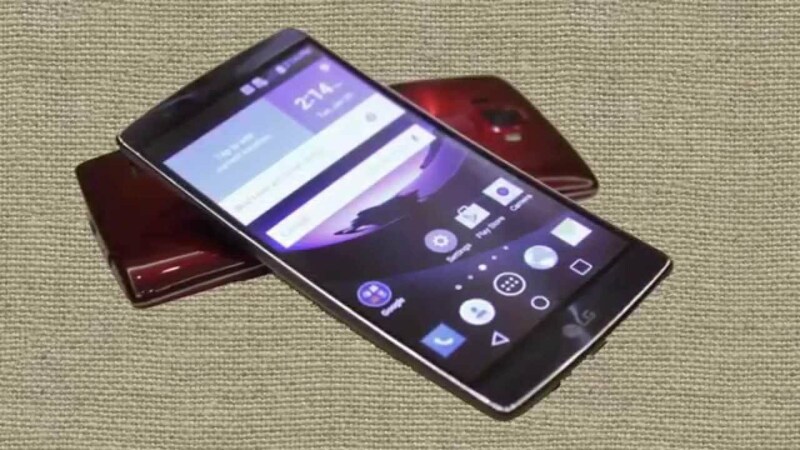 Cell phone just born and developed from the need of human beings to communicate. In the background, from the same irrepressible momentum generated in distant times other wireless communication systems such as the telegraph Morse or Chappe, or fixed time more to our own telephony, broadcasting, television and satellite transmissions. Like all inventions of mankind, cell phones started from scratch. Obviously, there was a concern, a need, as we describe above, to communicate, but this time at a greater distance and from different environments. The need became vital during World War II for Allied soldiers and their opponents who were on the battlefield. Saving lives or communicate a military strategy at some point, they were two of several determining factors that led to the creation of a walkie-talkie talkie called Handie in the forties of the last century. The talkie Handie and its similar walkie-talkie, whose size was larger compared with the second, can be considered the first ancestors of cell phones, although there is a big difference between them, because the first use a single channel for transmission and reception of voice within a limited distance about 3 kilometers (1.86 miles) between one device and another, while mobile phones today are powered by networks and stations with huge geographical space to achieve communication. 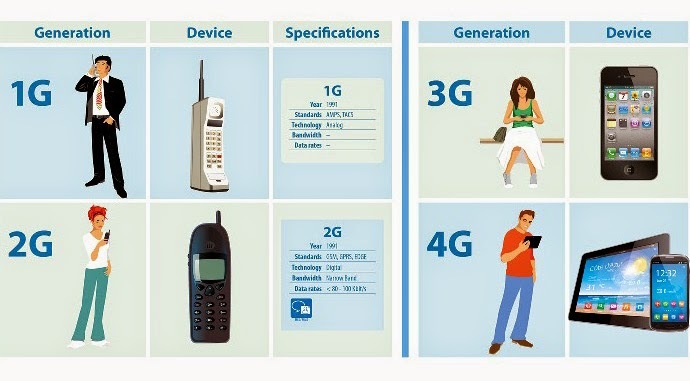 1G- analog networks: The first generation emerged in the late seventies and early eighties of the last century. This technology, characterized by being analog and only for voice, introduced the use of multiple cells and the ability to transfer calls from one location to another while the user was traveling during the conversation, for which the tower coverage was linked to sites nearby cells to maintain communication. However, the transmission of these cells was inaccurate and did not have good sound quality. 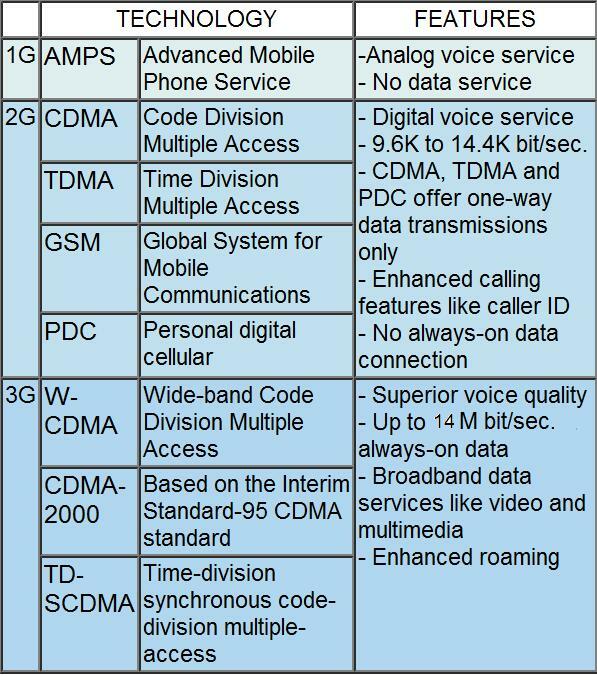 The predominant technology of this generation was the Advanced Mobile Phone System, Advanced Mobile Phone System (AMPS by its acronym in English), which was used more strongly in the United States. 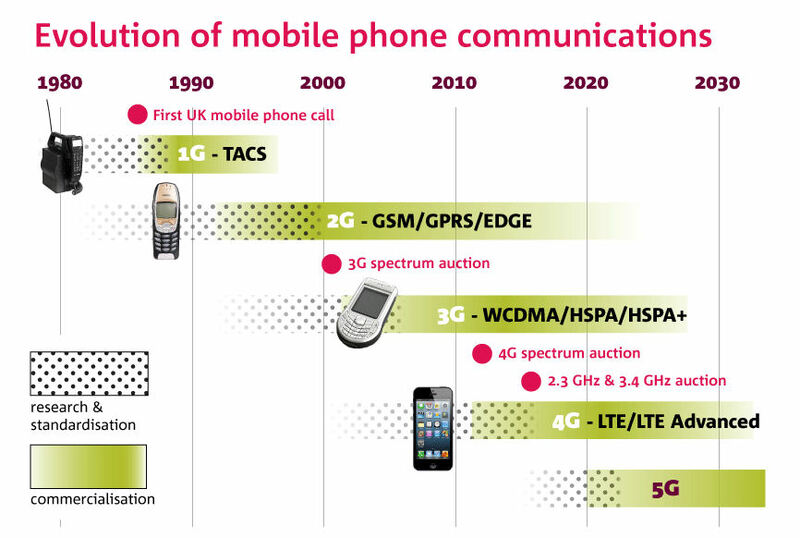 2G- digital Globalization: Unlike the above, in the second generation whole process is digital. 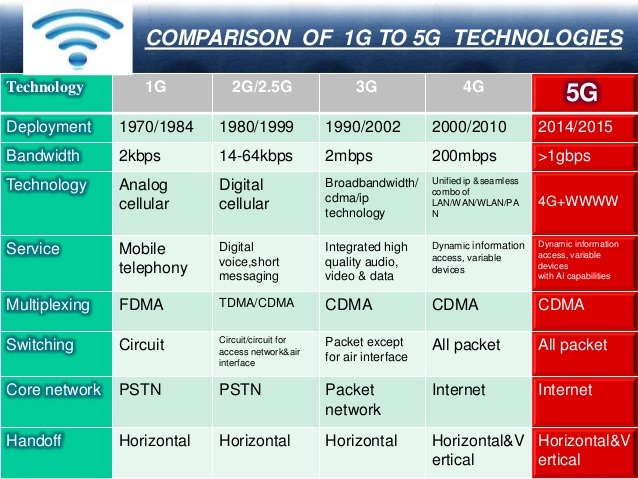 Remember that both 1G and 2G digital systems employed for connecting the base to the telephone network radio, but the first one transmission is performed exclusively in analog. In the second generation, advanced cell phones were also presented, with smaller dimensions, which quickly connected to the network signal. In this period, no doubt, the mobile had a tremendous growth and popularity, among other things by the appearance of prepaid phones. Similarly, users arranged for the first time in a very effective tool for communication: SMS text messages (Short Message Service). Initially, these SMS were made possible through the Global System for Mobile Communications, Global System for Mobile Communications (GSM), now the most popular cell phone standard in the world, with more than 3 billion users in 212 countries. Then the text messaging service was available in all digital networks. During this 2G subscribers could also enjoy payments ringtones. 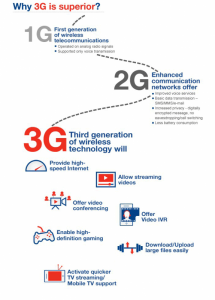 High transmission 3G-: Before reaching the third generation mobile telephony 2G incorporated technological improvements, whose progress was changing its concept. 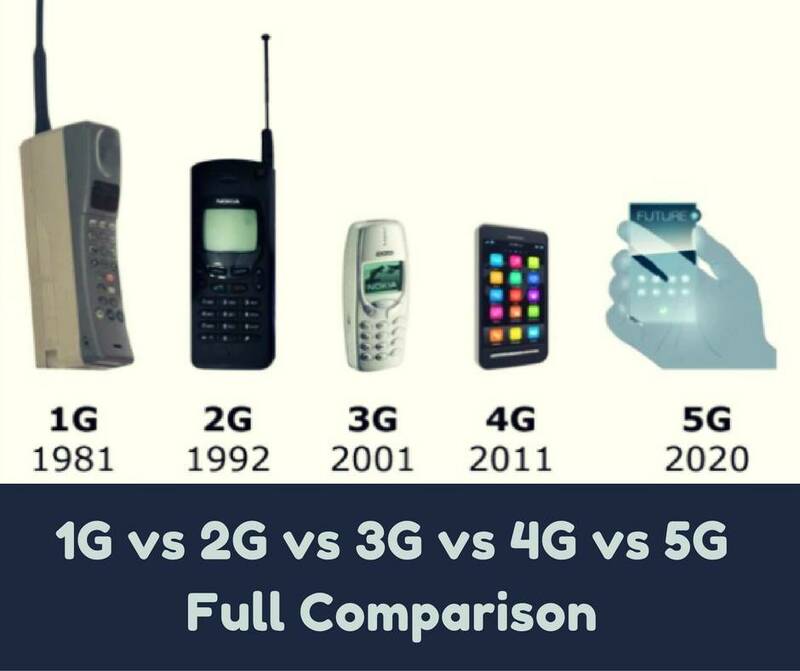 Then there was talk of generations 2.5G and 2.75G, which actually paved the way for this 3G, which as basic difference on the precedent is packet switching for data transmission. With this innovation, what benefits does the user? Easy. 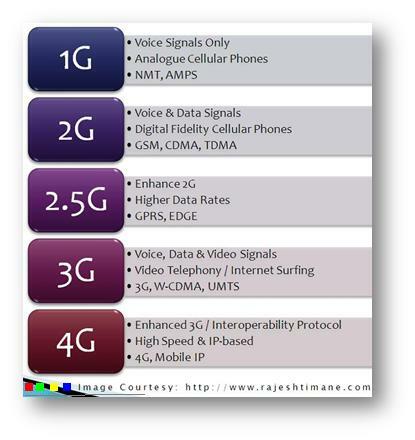 With the ability to transmit voice and data through mobile telephony, third-generation services allow the subscriber the ability to transfer both voice and data on a telephone or a video conference, as well as transmit data only without voice as downloading programs, exchanging e-mails, instant messaging, etc., all with a speed of 384 kbps which enables videos. 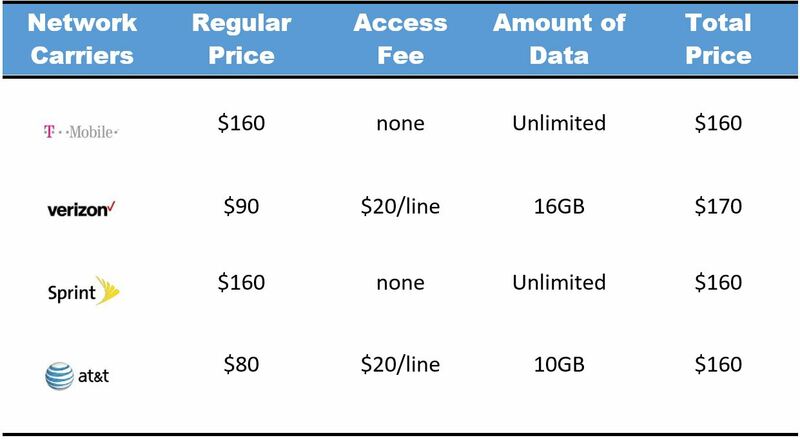 This data is provided from the time of 3G cell phones had access to Internet connections. It also allows technological development achieved worldwide compatibility and coexistence with mobile services with second generation networks. As if that were not enough, the 3G increased the level of security to authenticate the network you are connecting. 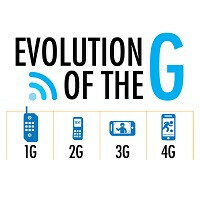 4G- futurística Speed: The technological breakthrough that will distinguish the fourth generation of 3G has to do with the elimination of exchange circuits, to use only the IP (Internet Protocol), ie, those that occur with the convergence between wired and wireless networks, suitable for smart phones or smartphones and wireless modems, among others. All data, including voice calls, through packet-switched with a speed that is above 1 GBps, in addition to higher bandwidth will be transmitted. With these values, through a mobile or cell phone you can get perfect reception for high definition TV or high resolution. 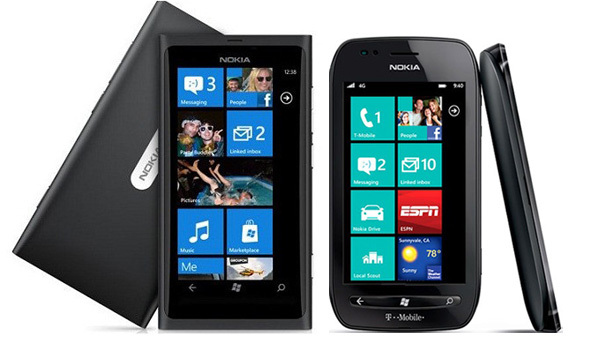 You see, from generation to generation, cell phones make your call to the future … and we will respond. 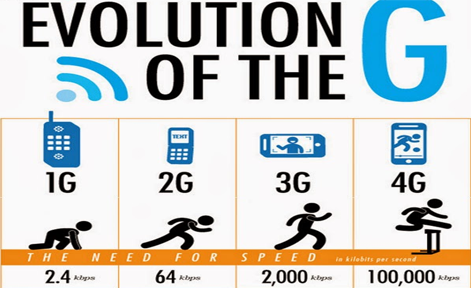 4G VS 3G Networks. Which One will You Prefer?